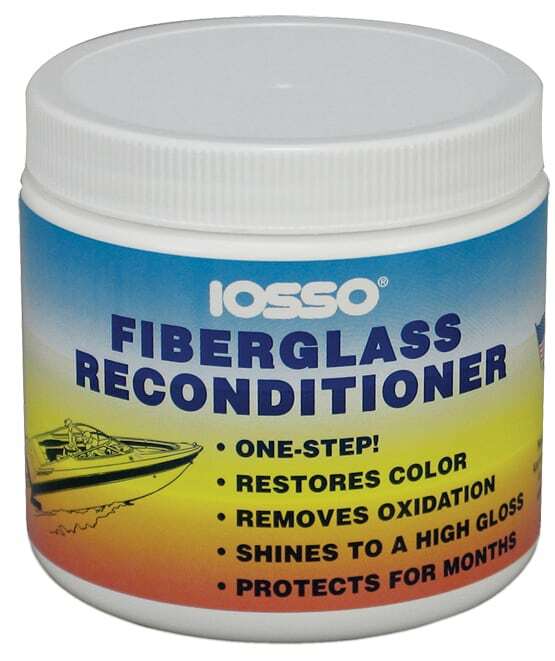 Iosso Fiberglass Reconditioner restores color and protects in one easy step, removing oxidation, chalking, waterline scum, rust, exhaust, road tar, and oil. 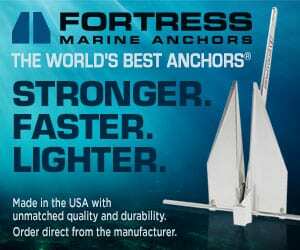 Its protective glossy coating lasts 4-6 months, so there’s no reason to wax over it. 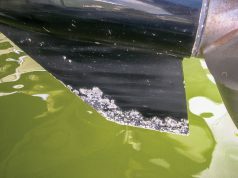 Highly effective, a one-pound container cleans a 30′ boat from the waterline up. Iosso Fiberglass Reconditioner can be used by hand or with an electric polisher or buffer.